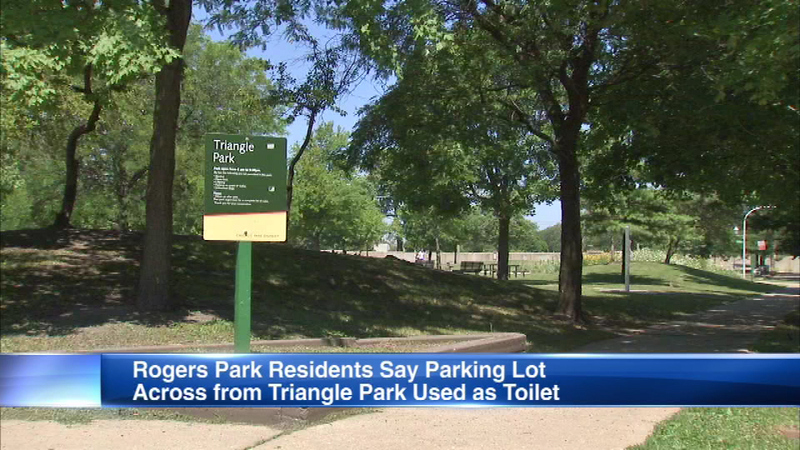 People are going to the bathroom at a Rogers Park parking lot, residents say. CHICAGO -- Residents in Chicago's Rogers Park neighborhood are putting up a big stink over a problem at a parking lot near a children's play area. As first reported by DNAInfo, residents say the small space across the street from Triangle Play Lot Park is being used as a public toilet. One resident says people who use the park have nowhere to relieve themselves so they use the parking lot. The Chicago Park District did not return ABC7's call for a comment.